Scouting Report: Winners of eight in a row to start the season for the second year in a row, the No. 6 Wolf Pack plays its second Pac-12 foe in a row in No. 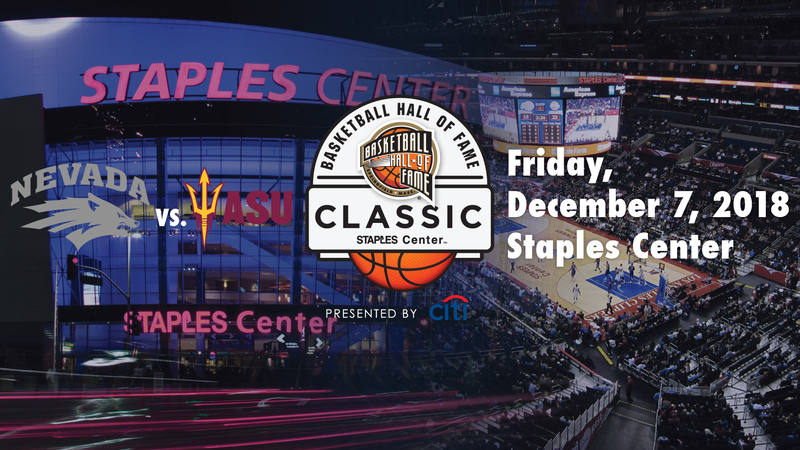 20 Arizona State at STAPLES Center in the Basketball Hall of Fame Classic in Los Angeles on Friday. The Pack are playing in the event for the second consecutive year. The 8-0 start equals the best in the Division I era for the Wolf Pack. Nevada is currently 4-0 in a six-game road trip, with 25 days between home games. None of the games they have contested in their eight game winning streak have even been close, the closest being an 86-70 win over BYU to start the season. All their other games have been more than 16 point victories, though Arizona State should pose a bigger challenge. Key Fantasy Player: The Wolf Pack boasts three guys in double figures, but it’s G/F Jordan Caroline that is the one that intrigues us in fantasy because he is currently averaging a double-double (18 ppg, 10 rpg). He should still be able to get his boards against the Sun Devils, making him an excellent play. Scouting Report: Head coach Bobby Hurley has melded together a class of newcomers and veterans well so far in the early going, cruising to a 7-0 record and surviving an early test this year against Mississippi State (72-67). The Sun Devils have won 20 straight regular season out of conference games, the sixth-best such streak in the Pac-12 in the past 23 seasons. ASU and Nevada enters this week as one of 11 undefeated teams remaining. Key Fantasy Player: San Diego State transfer F Zylan Cheatham had a monster game against Texas Southern last time out with a triple double (14 points, 13 boards, 10 assists). He’ll be looking to build on that success tonight in a bigger challenge. Can he do it, or will Nevada’s torrid pace take him off his game?